Home » Blog » techniques » How to Lead Belay – How is it Different from Top Rope Belaying? How to Lead Belay – How is it Different from Top Rope Belaying? If you already familiar with top rope belaying, the next belaying challenge is to learn how to lead belay. It is not necessary to know how to climb lead to be the lead belayer but it is useful so you can understand, relate and anticipate the climber’s next move. At my gym, it is often that the team kids needed lead belayers during practice. Parents become volunteer belayers so we learn how to lead belay in order to belay our kids. In this article, we will focus primarily on lead belaying. If you need more information, throughout the article I placed many links reference back to the available articles on my website to support you. As a lead belayer, there are definitely more steps involved than top rope belaying. There are three pieces of equipment you will need to belay a lead climber. The fourth and fifth elements are optional. What is Assisted Braking Belay Device? Believe it or not, a carabiner plays an important role in belaying as well. 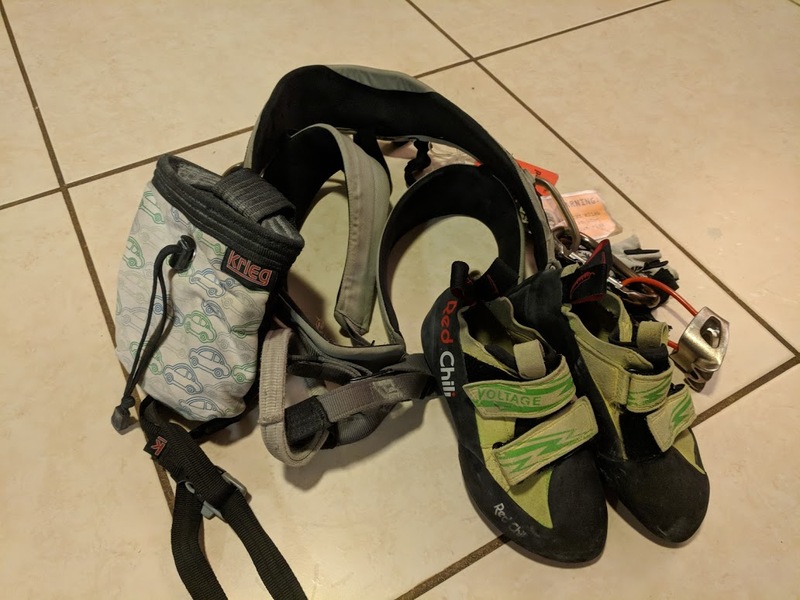 It connects the belay device to your harness and controls the position of your belay device. There is a carabiner called Fresno that also provides additional friction to the rope assisting you in lowering the climber. This works well especially when you are belaying a heavier climber. Check out my article on “Tips for Safely Belaying Heavier Climber“. Climbing rope is also necessary for lead climbing. 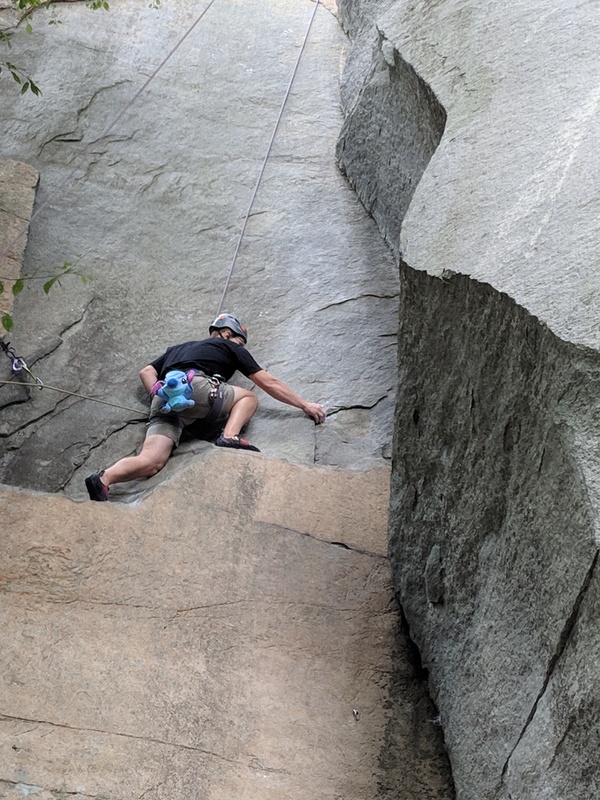 Please check out my articles on “What is the Best Rope for Rock Climbing – How to Choose” and “Dynamic Climbing Rope Reviews” to find your rope if you do not have one already. Helmets are commonly worn for outdoor climbing. In my opinion, it is a necessary item to keep your head safe from bumping, falling, etc. Not only does the climber wear the helmet so does the belayer. The helmet blocks the belayer from unexpected falling rocks. Last but not least is belaying gloves. This is totally optional. You do not need one. Although it is nice to have to prevent blister or rope burn from the rope friction when lowering the climber. I have several articles including reviews of different gloves for you to choose from:Rock Climbing Gloves – Do We Need Them? The climber ties into one end of the rope with a figure 8 knot. The belayer give out some slacks and also tie in to the rope. The first and foremost step to any belaying is to make sure you are setup correctly. The belayer and the climber should check in with each other making sure the knots for the belayer is in placed properly and no loose articles are dangling in the way. Please read how to set up as a belayer and safety check in my “Learn to Top Rope Belay“. The belayer’s stance is also very important. This help with balance when he or she catches the belayer’s fall or lowering the climber. The belayer should have the feet shoulder width apart with one foot in front in a small lunge position with knees slightly bent. The foot in front should be the foot opposite the brake hand. You also want to be closest to the wall so that when climber falls you have the wall to brace yourself. Another reason is that you also want the rope to be as close to the wall as possible. The further you are from the wall, you have to release more rope making it a longer fall for your climber. The biggest difference between top rope belay and lead belay are having slacks. The lead belayer constantly feed slack through for the climber to clip in while the top rope belayer constantly pull in slacks when the climber climbs higher. As a lead belayer, it is critical to keep in check with your rope at all time. Rope management is key. You want to flake your rope first making sure there are no knots, kinks or any obstacles prevent you to feed the rope the climber. It also gives you an opportunity to inspect the rope status to see if there’s any fray, rip, or irregularity in the rope. The process of flaking is to transfer the rope from one end of the rope pile to another pile. This process straightens out the rope. Also, keep the rope in a nice neat pile close to you when belaying. At the climber’s first few clips, be prepare to spot the climber if needed so that he or she will not land on his or her head when fall. The first few clips can be tricky in managing the rope and being prepared to catch the climber. The climber is not yet high enough where he or she can fall and land safely. Always have the brake hand ready and at the same time feed the rope through the belay device so that the climber have enough rope to clip into the quickdraw. You want to be able to keep a balanced amount of rope available for the climber not too tight where you can accidentally pull the climber off the wall or too loose then the climber will fall much longer. if the rope is straight up out of the device then you have the rope too tight. If you have the rope droop below your device, you may have too much slack. Constantly giving slacks by feeding the rope up with your guide hand. When the climber is ready to clip, pull the rope slack for about one to one and a half arm length. Bring the guide hand down close to the belay device and simultaneously slide your brake hand down to your side and away from the belay device to bring in more rope through. As you feed the rope up with your guide hand, your brake hand will come in closer to the belay device. Repeat the process for giving slacks as needed. This help the climber with enough rope to clip into the next quickdraw. Be alert and be aware on climber’s positions at all time. Are they z-clipping or back clipping? Please see lead climbing indoor article for more details on clipping. Where are the climber’s feet in relative to the rope? A belayer can call out to help prevent the climber from snagging the rope when fall. The belayer’s job is to keep the climber safe at all time. Tip of the Week – How to coil and flake a rope from Planet Granite on Vimeo. Another difference between the lead belaying and top rope belaying is the fall distance. The lead climber falls further. They fall twice the distance above the last clip-in point. When the climber falls, the force and the acceleration is fast and quick. The belayer may be pulled up off the ground. If you are a lightweight belayer, you will be pulled off the ground for sure. Be prepare to fly if necessary. Everything happens very fast. You must react quickly. Be Always near to the wall where the climber is climbing. Pull your brake hand down and tightening your grip. Allow the force to pull you into the air. Bend your knees and brace your feet against the wall as if you are in a sitting position to stop the fall. This gives you the leverage to hold the climber in the air. Communication between the climber and belayer are very important. Make it brief and precise with only a few words at a time. Please visit my article “Learn to Top Rope Belay” for the different commands and terminologies. We want to be able to know what each other intentions while climbing to generate the best outcome. It is hard hear the other person sometimes when they are high up. Make sure to shout down or up with your partner’s name and the command to avoid confusion if there are more climbers in the area. Belaying is an art within its category. It takes focus and full concentration to lead belay because the climbers rely on you for a safe catch when they fall. It is true that you do not have to be a lead climber or climb a 5.10 or higher to be a lead belayer. 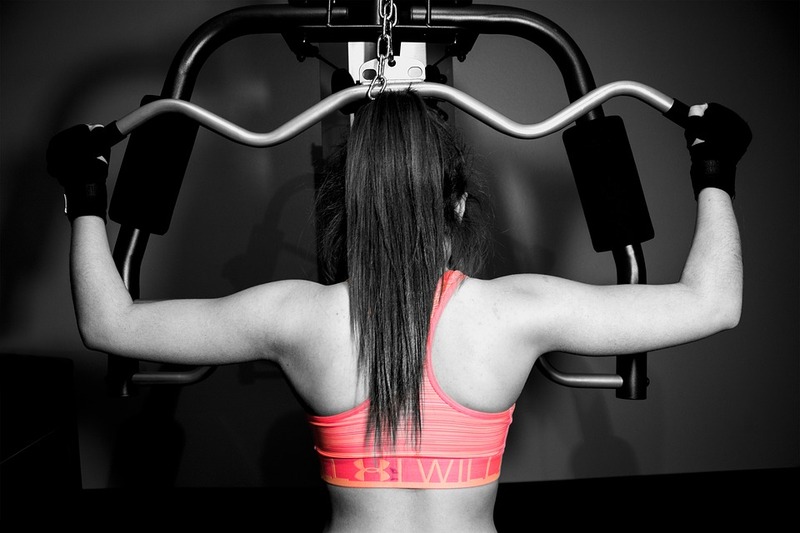 However, it is helpful in order to support your climber. 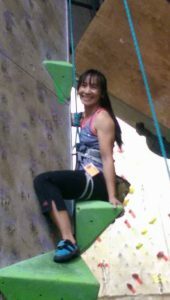 “Indoor Rock Climbing Competition – What Does It Take to be a Belayer at National Level“. The belay requirements at competitions are strict and can be stressful. All eyes rest upon you to belay the climbers safely and at the same time not aiding or hindering the climber in any way. No pressure. I survived valiantly for my first time. Perhaps, I shall return to help again the following year. Remember those optional belay gloves that I mentioned at the beginning of the article? They do come in handy at these competition sessions. Your hands get rubbed raw after two to three hours of belaying. Your neck also get stiff for looking up constantly. The belay glasses are another optional item that would assist relief the neck. Anyhow, I am rambling on. I hope you have learned a thing or two after reading this article about lead belay. If there are any questions or feedback, please leave them for me in the comment box below. 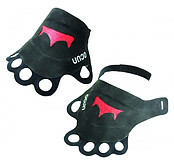 Previous post Rock Climbing Belay Gloves​ – Which One to Choose From? Next post Wild Country Revo Review – Is it really the Safest Belay Device?